Blanking on names? Left your phone in the cab? Forgot what's on your grocery list? Or the movie you saw last weekend? You're not alone. Everyone loses track occasionally. It kind of feels like as we age, our minds and memories just don't work like they used to. But is that really true, or are there ways to improve memory power? The fact of the matter is that certain aspects of brain function and memory capability are not necessarily linked to getting older. Lifestyle choices and whether or not we implement memory-boosting techniques in our day-to-day lives contribute to the overall health of our brains and our ability to remember both new and old information. So we got to wondering: Is it possible to counteract the memory decline that already seems to be taking place? How can we improve memory power? Well, we discovered 10 tricks and mind-sharpening strategies which can rev up your memory. You'll soon remember that guy from accounting (Anuj, was it?). 1. 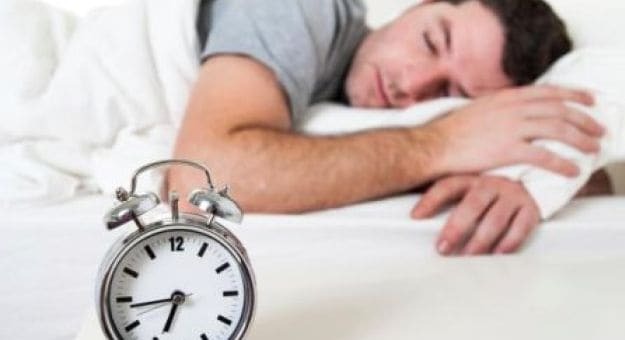 Get a Goodnight's Sleep - "Poor sleep takes a toll on everything, from your job performance to your daily chores, and especially your memory", says Dr. Adarsh Kumar, Internal Medicine, National Heart Institute. Sleep is a key time for the brain to solidify the connections between neurons, thus helping us remember more of our tasks. Rule of thumb: Get 7-8 hours of sleep everyday. And yes, naps count. Experts are of the opinion that if you do only one thing to improve your memory, getting more sleep should be it. If you have trouble sleeping fast, drink a warm cup of milk a half hour before hitting the sheets. Yes, this age-old remedy actually works. Now stop staring at the ceiling, and slip into slumber. 2. Jog Your Memory - Literally. Exercise increases your heart rate which gets blood flowing to your brain, thus keeping your memory sharp. Running, swimming, biking - any form of exercise - for at least 30 minutes helps enlarge the hippocampus, which is regarded as the 'memory center of the brain'. In fact, physical activities that require hand-eye coordination or complex motor skills are particularly beneficial for brain building. If you don't have time for a full workout, squeeze in a 10-minute walk around the block in your schedule or a few jumping jacks. It's enough to reboot your brain. 3. Quit Multitasking - Can't find your keys? It's probably because you weren't paying attention when you put them down. When you're juggling too many things, you're bound to forget. As it turns out, the brain doesn't actually multitask. Instead, it switches focus from one thing to the other, which is why it is difficult to read a book and hold a conversation at the same time. Multitasking will slow you down, so make it a point to concentrate on the task at hand. It's crucial. Studies suggest to say it out loud: "I left my keys on the dresser", etc. so the brain can process it. Your brain actually need about eight seconds to commit a piece of information to your memory, so if you're talking on the phone and carrying groceries when you put down your car keys, you're unlikely to remember where you left them. 4. 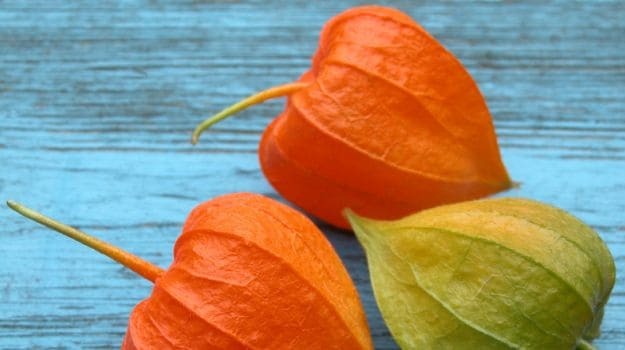 Go Back to Your Roots - Ashwagandha, a go-to choice in Ayurvedic medicine, is known for promoting memory since it helps prevent nerve cell damage. Dr Ashutosh Gautam, Clinical Operations and Coordination Manager at Baidyanath says, "Ashwagandha can be taken in the form of powder or tablet. It also improves the brain's memory functions like attention and concentration, hence helping with the symptoms of Parkinson's, Alzheimer's and other neurodegenerative diseases. Fish oil, has also been associated with encouraging the growth of neurons and lowering the risk of dementia. Fish oil contains DHA, an omega-3 fatty acid which helps improve your memory power. 5. Use Mnemonic Devices - Mnemonic devices are tools which help you memorize in an easier format - words, lists, concepts, et al. Acronyms: They are basically abbreviations used a word to help you jog your memory. For example: CART can be carrots, apples, raspberries and tomatoes, which can be used to remember your grocery list. Rhymes: If you need to remember a name, get creative. "Mary loves cherry" or "Simon is a fireman". Acrostics: These are life savers during exams, especially. Whenever you need to mug up a sentence, combine the initial letters and use as a memory cue. For example: How we all remembered the 9 planets during childhood, "My Very Educated Mother Just Showed Us Nine Planets". 6. Get Organized - If your house is in a mess, you're more likely to forget things. 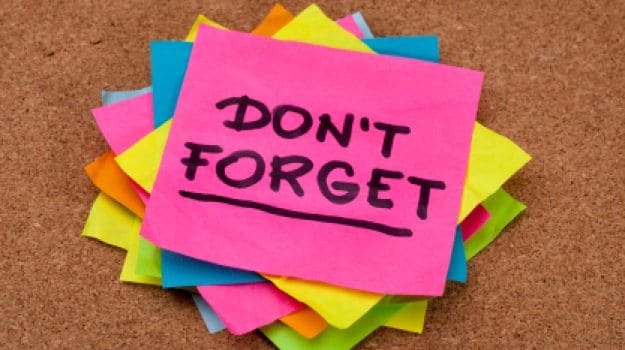 Jot down tasks, declutter your home and note down appointments. Set aside a particular place at home to keep your keys, and limit distractions. Live by to-do lists, keep them upto date and check off the items you've completed. 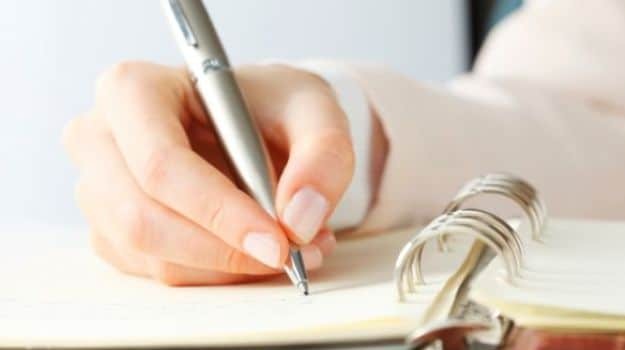 Physically writing down new information actually helps reinforce it. 7. Meditation is Key - According to a 2015 study from the UCLA Brain Mapping Center, the brain starts to decline in your 20s and continues to decrease both in size and volume. 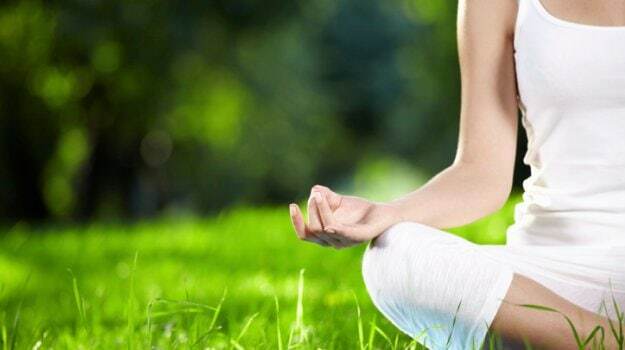 Meditating regularly delays cognitive decline and prevents neurodegenerative diseases like Dementia, Alzheimer's and Parkinson's. Meditation produces a positive charge in the brain's gray matter overtime, which is important for memory, learning and self-awareness. In addition, meditation has been shown to reduce stress, which can do a number on memory. 8. Stay Mentally Active - Note: Crossword puzzles and Sudoku are your new best friend. Challenge your brain, take a different route to work, learn a new language, read a section of the newspaper you usually skip, do things out of the ordinary. Stay engaged, because mentally stimulating activities help keep your brain in shape - and might even keep memory loss at bay. People who are cognitively active have better memory as they age, it's true. So quiz yourself, flex your brain and improve your memory power. 9. Balance Your Stress - Chronic stress and depression, both contribute to memory loss and the destruction of brain cells. One of the best things you can do is to laugh. Yes, it's that simple. Laughter engaged multiple regions of the brain and simultaneously reduces stress. Social interaction also helps ward off depression and stress, so look for opportunities to get together with family, loved ones, friends and work colleagues. When you're invited to share a meal or attend an event, go! 10. Food for Thought - Did you know that the brain is an energy hungry organ? Despite comprising only 2% of the body's weight, the brain gobbles up more than 20% of daily energy intake. So a healthy diet might be as good for your brain as it is for your overall health, and eating right may in fact be more important than you think. After all, you are what you eat. The brain demands a constant supply of glucose which is obtained from recently eaten carbohydrates like whole grains, fruits and greens. Because when the glucose level drops, it results in confused thinking. No, this does not give you the license to slurp on sugary drinks. Instead eat throughout the day to optimize brain power- not too much, not too little. Memory superfoods include antioxidant-rich, colorful fruits, green leafy vegetables and whole grains which protect your brain from harmful free radicals. Choose low-fat protein sources such as fish and drink at least 8 glasses of water daily since dehydration can lead to memory loss and confusion. Green Vegetables: Broccoli, kale, collard greens, spinach - all green vegetables are full of iron, Vitamin E, K and B9 (folate), and phytonutrients like vitamin C which are extremely important for brain cell development. Vitamin K is known to be helpful in cognitive enhancement and increasing mental alertness. Avocados: Enriched with Vitamin E, avocados are loaded with antioxidants which help in keeping the brain healthy and alert. Creamy avocados are also associated with lowering the risk of Alzheimer's. Red Wine: Resveratrol, a powerful antioxidant, predominantly present in red wine protects against cell damage and Alzheimer's disease. So, consuming a glass of red wine a day may actually keep memory loss at bay.